It’s officially Party on the Porch season! Isn’t it great when you realize it’s finally warm enough to sit outdoors in the evening? There’s something truly wonderful about being out as the sun goes down—you can hear life happening around the neighborhood. Lawnmowers hum and the smell of freshly cut grass is in the air. Birds are singing until darkness ushers them home to roost. Kids are out, riding bikes, playing street games, begging for just a few more minutes before they have to go in for bed. And you can finally enjoy a reunion with the neighbors you hardly see during the winter. It’s a happy time, and by that we mean a great excuse for a happy hour! Why not kick it off right with an Official Porch Season Opener Happy Hour! (Your deck, front stoop, or driveway are alternate venues! )This is the kind of gathering that can be either spontaneous or pre-planned. 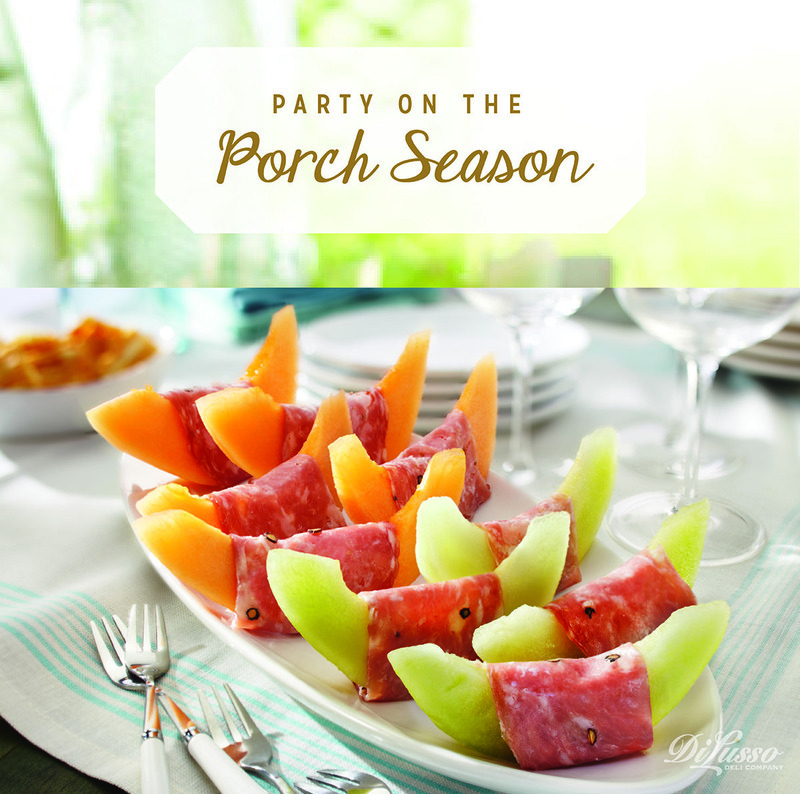 Either way, keep things easy with casual snacks and a cooler full of beverages. You could even ask everyone to B.Y.O. Let’s start with a basic party offering that never, ever disappoints: a Meat and Cheese Platter with Tangy Mustard-Horseradish Dip. 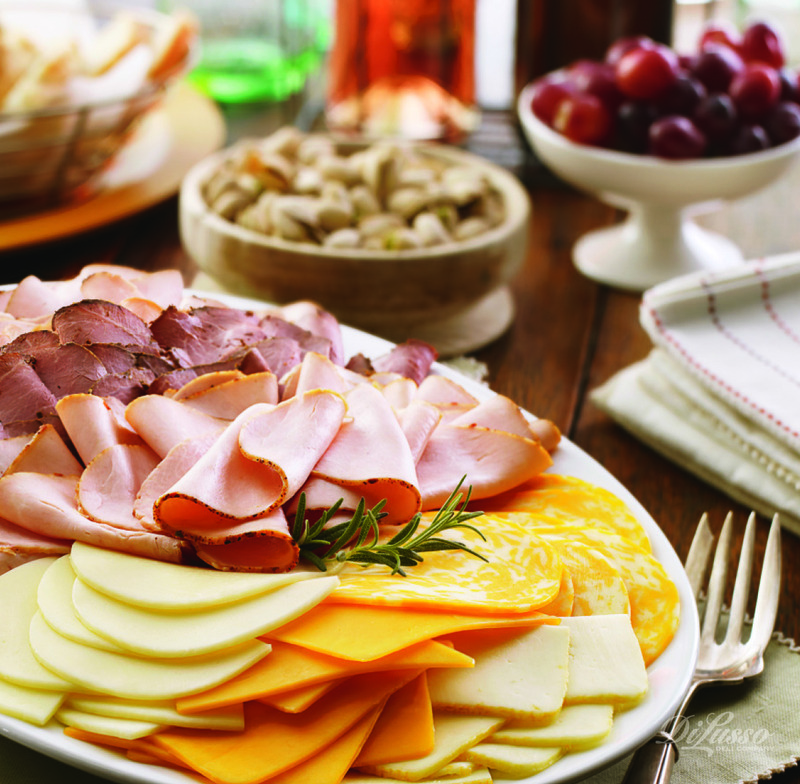 Simply load a platter with an assortment of DI LUSSO® products, and you’re set. 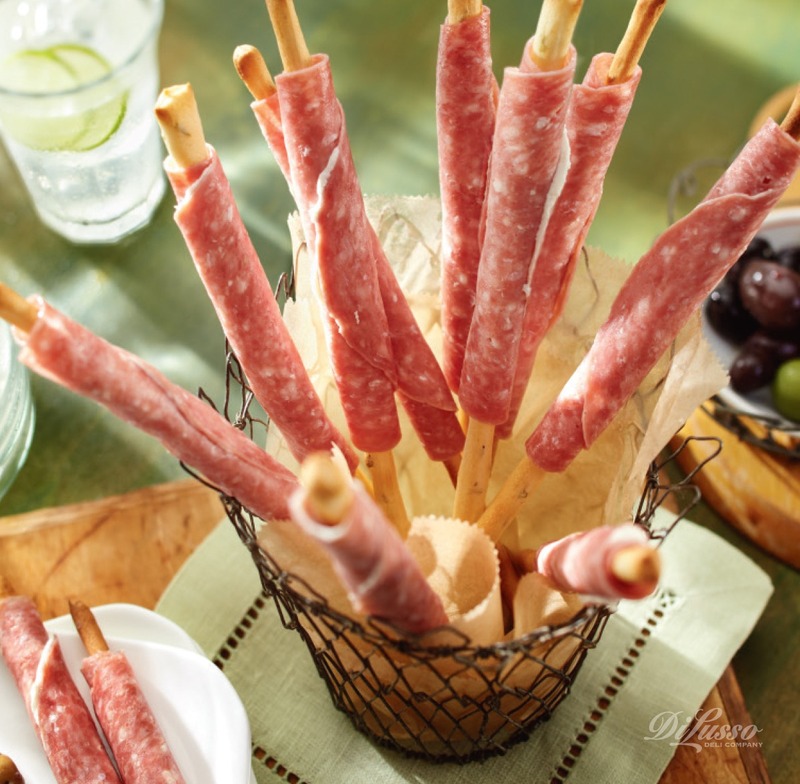 Grissini Genoa Breadsticks are every bit as easy and they’re fun finger foods your guests will really love. We don’t think anything tastes more summery than fresh melon. 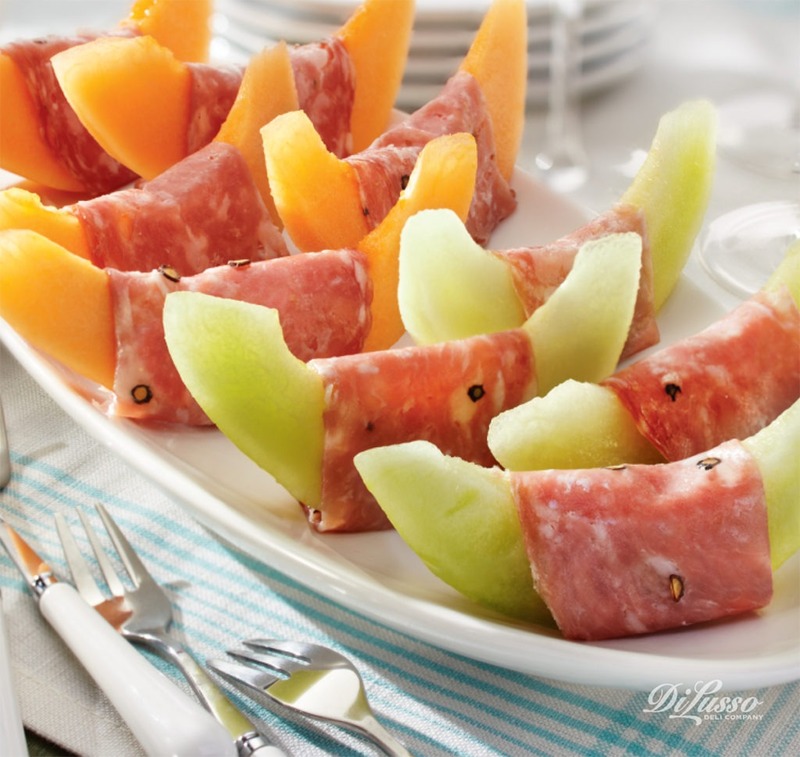 Our Sopressata Wrapped Melon appetizers pair their sweet juiciness with that perfect peppery bite of DI LUSSO® Sopressata. Enjoy some grownup time while the kids play within sight—that’s a win-win situation if ever there was one. As the evening wanes, you may notice a few guests who just don’t want to leave. The spring evening air is just too enticing, and your companionship (or is it the fabulous food?) makes it too hard to head home.